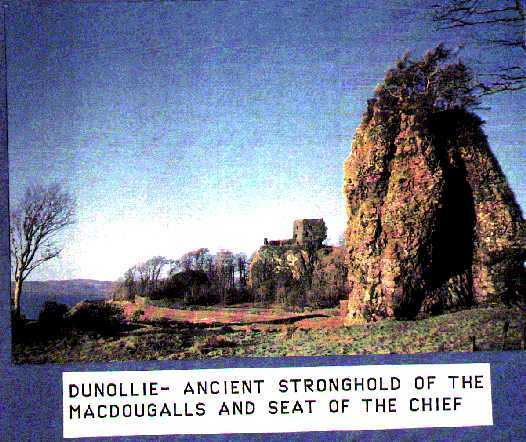 The arms of the MacDougalls of MacDougall and Dunollie, Chiefs of the MacDougalls of Lorn (54kb download) Quartered in these arms are two ancient royal emblems, the Black Galley of Lorn symbolizing descent from the royal house of the Norse and the lion symbolic of the descent from the Scottish Kings of ancient Dal Riada. 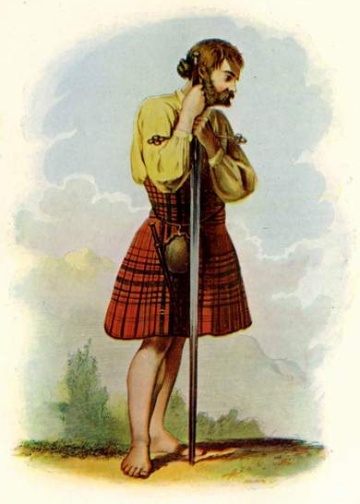 Note the Cap of Maintenance beneath the arm denoting baronial standing. These personal arms may not be used by others. 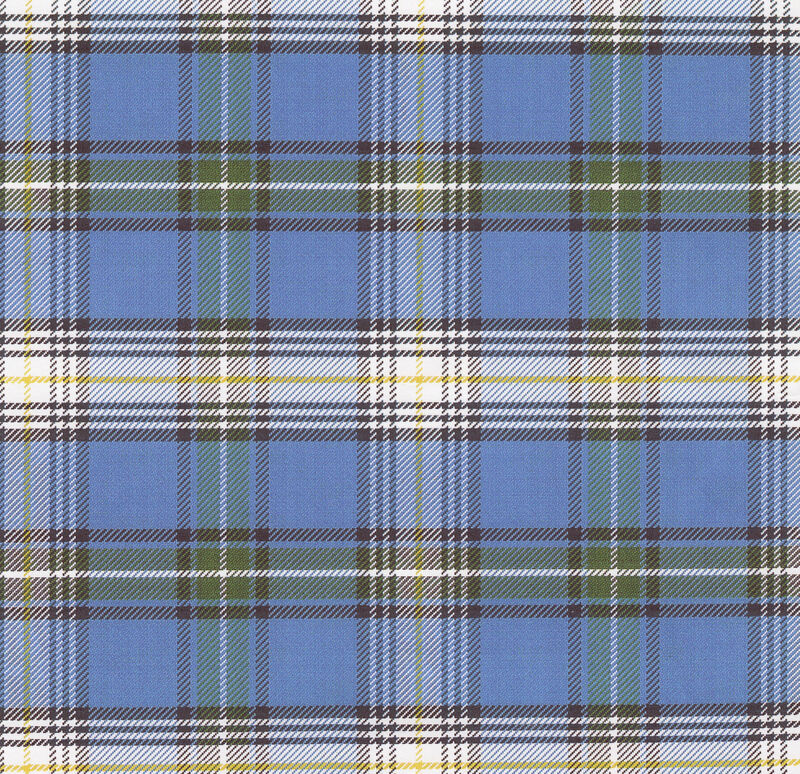 The personal arms of Fergus Macdowall of Garthland (57kb download) The personal arms of Fergus Macdowall of Garthland feature the undifferenced arms of Galloway symbolizing direct descent from the ancient lordship. The Dal Riadic lion is crowned showing the royal line which runs back to Fergus the first King of Scots in Dal Riada. 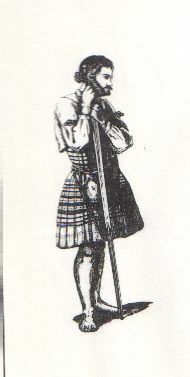 Note the Cap of Maintenance beneath the helmet denoting baronial standing. These personal arms may not be used by others. 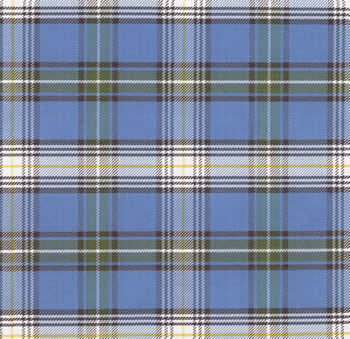 The Raven Flag of Lunga (57kb download) According to the best authorities, the symbol of the Raven comes to Clan MacDougall from it’s Viking ancestors. It comes as a bird of state and the companion of gods. Two Raven rode upon the shoulders of Odin. Their names were “thought” and “memory”, for the Raven is said to be the wisest of birds. Some scholars have seen in the pictorial representations of the prows of the MacDougall galley a raven rather than the traditional dragon head. 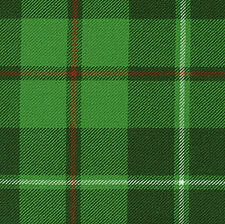 A tradition among the MacDougalls of Lunga says that the MacDougall galleys flew a “raven flag”. 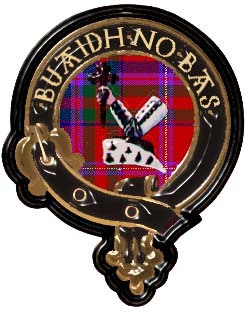 Clan MacDougall Plant Badge (28kb download) None of the emblems which represent the unity of clan membership are older than the plant badges once carried aloft on spears and even often seen worn upon the bonnet. These were the “lucky” or the sacred badges which go back into our tribal histories. Our clan plant badge is The Bell Heather (Erica Cinerea) which has large, crimson-purple flowers growing in terminal clusters. The stems are a deep red and the needle-like leaves a brilliant green. 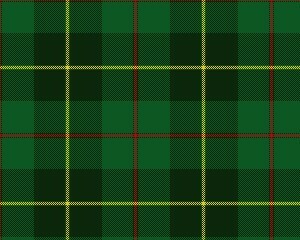 The Brooch of Lorn (32kb download) In 1306 after the defeat at the battle of Methven, Robert the Bruce retreated toward Argyll and the coast. 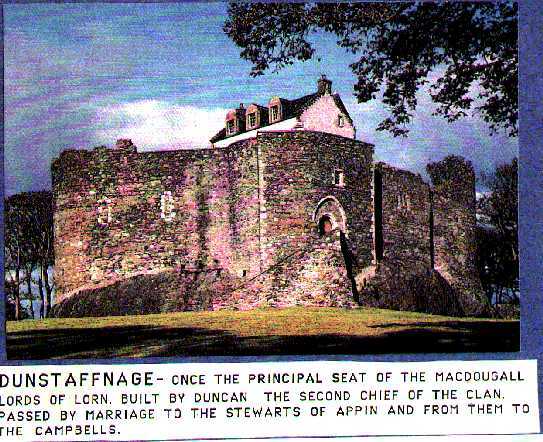 He was surprised at a place now known as Dalrigh by John Bacach, the fifth chief of Clan MacDougall, and his forces. Mounted upon horseback, Bruce was attempting to make his escape when he was attacked by three clansmen on foot. In the struggle which followed, Bruce was forced to leave his cloak and brooch in the dying grasp of one of his attackers. 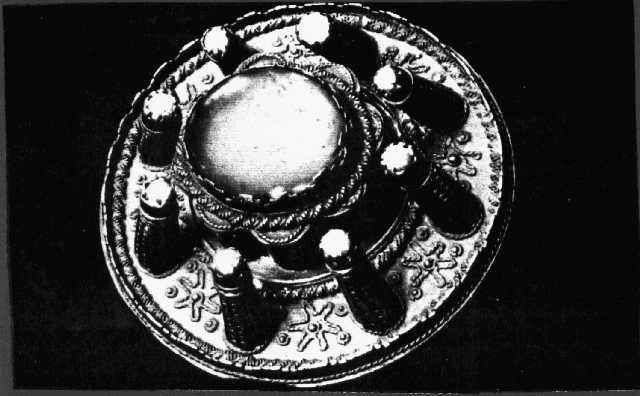 This brooch, the famous Brooch of Lorn, was lost in 1647 when Gylen castle was captured and burned, but it was returned to the MacDougall chiefs in 1824. The Brooch of Lorn was the subject of an article in Scotland on Sunday Online. The author of the article had interviewed our Society’s former 2nd Vice President, Alan M. MacDougall, but Alan’s comments were edited out of the final version. Click on the Box below to select your choice of 1 to 5 years dues periods, or Lifetime Membership.